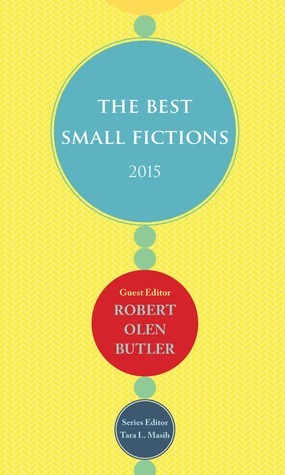 The Best Small Fictions 2015 is an anthology of compelling and affecting flash fiction and short shorts, compiled and edited by Tara L. Masih and Robert Olen Butler. These fictions were selected from a variety of small-press magazines. Over fifty authors have their work represented here, so this review will focus on four that serve as representatives of the anthology’s general level of quality. But there is a plot here. There are characters who move, change, and grow over the course of a few hundred words. The last sentence of this story (about a hungry, would-be mother) twisted a knife in my guts. I would ruin it, if I gave away any more. There’s a plot there, too, and a desperate revelation. These small fictions are nearly very good poems; they have that impact, that force. They are small, but powerful, like tiny bombs which rip the mantle of the earth and reveal the gaping, treasure-laden caves beneath. Read them slowly, one at a time and with many pauses between them, so that when they detonate in you you’ll retain enough crust to have someplace to stand when you stoop down to look.